England midfielder wants team-mate at Emirates Stadium. 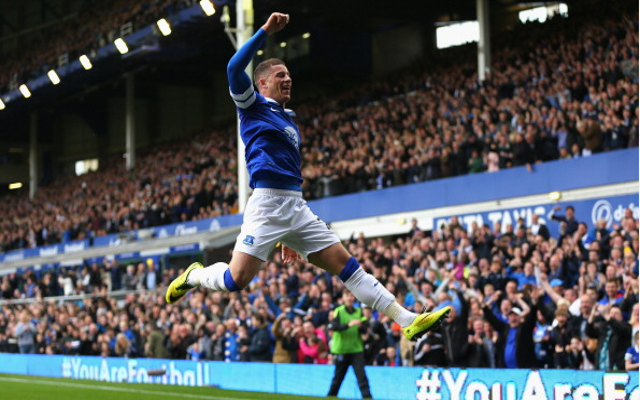 Arsenal midfielder Jack Wilshere has reportedly urged his manager Arsene Wenger to compete for the signing of highly-rated Everton starlet Ross Barkley. The pair have played together in the England national team, and Wilshere shares the view of many that Barkley is one of the most exciting youngsters in the country at the moment, with the 20-year-old having shone in the Premier League and at international level in the last year or so. Chelsea, Manchester United and Manchester City have recently been strongly linked with big-money moves for Barkley, but there may now be a chance that Arsenal will join the running, if Wilshere can persuade his manager that his colleague would be a worthwhile signing. Sources inside the club reveal that other players have also shown an enthusiasm for the club to compete for the Everton man, with player power also proving effective on transfer deadline day as several members of the squad threw their support behind the club’s bid to sign Danny Welbeck from Manchester United. The crucial factor may be Barkley’s price tag, which could be as high as £50m if reports are to be believed, which would surely prove too high for Arsenal, even if they have shown a new-found willingness to spend in recent times with marquee signings of Mesut Ozil and Alexis Sanchez for a combined £77m. The Gunners could do with signings in midfield, however, with Barkley able to fill a number of roles in the middle of the park.